A Utopia for lifelong learners, the Chautauqua Institution was founded in 1874 by Lewis Miller and John Heyl Vincent. Initially, Miller and Vincent sought to improve the teachings of Sunday Schools, but the scope of their project quickly grew and courses were taught in a variety of disciplines, including art and music. This initiative expanded even further with the creation of the Chautauqua Literary and Scientific Circle, which enabled people to fulfill college educations by correspondence. While Miller and Vincent were both Methodist, Chautauqua became a place where all religions could be celebrated. With so many educational, emotional, and artistic nuances, music quickly became a natural fit for the Chautauqua initiative. A symphony orchestra was added to the summer program in 1920, and the official Chautauqua Symphony Orchestra was incorporated in 1929. 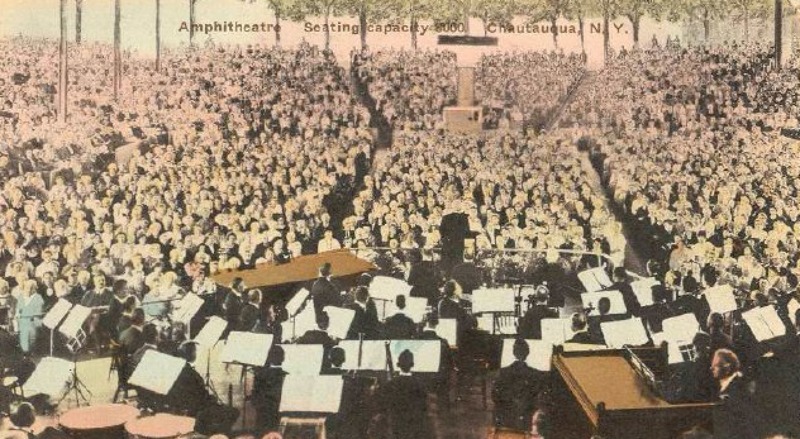 Thankfully, these orchestras did not have to perform without a cover – by 1893, the Amphitheater at Chautauqua opened up. This space was outdoors, but covered, providing Chautauquans a more comfortable viewing experience. 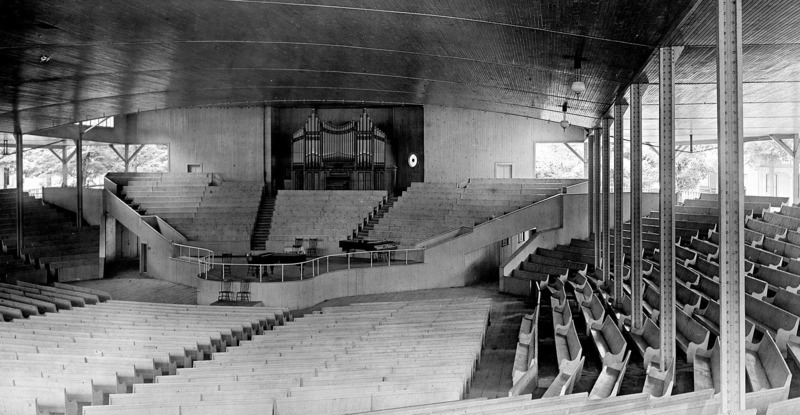 In 1907, the “large piano” from the outdoor auditorium had been upstaged by an outdoor symphonic organ. Donated by Eliza Massey in honor of her husband, the organ was specifically made for Chautauqua and has been in constant use for over a century. The amphitheater, a soundscape in its own right, has played a critical role in the Institution’s growth. This large public space fused many of the tenants of the Chautauqua ideology – a connection with nature, a place to learn, and the power of spiritual rejuvenation made possible by passionate group gatherings. It is this central point of performance that has fostered the elements of communal Utopia and defined the enduring success of Chautauqua over time. 1 Ames Ave. Chautauqua, N.Y. 14722 ~ Chautauqua Institution is a private community, but is open to all with a small entrance fee. Free on Sundays. 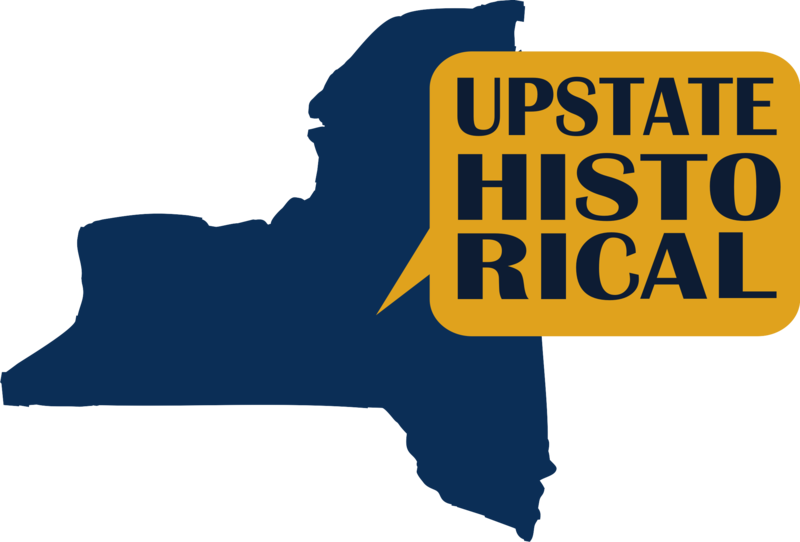 Alexandra Cade, “Music at Chautauqua ,” UpstateHistorical, accessed April 18, 2019, http://upstatehistorical.org/items/show/61. Lush, Paige. 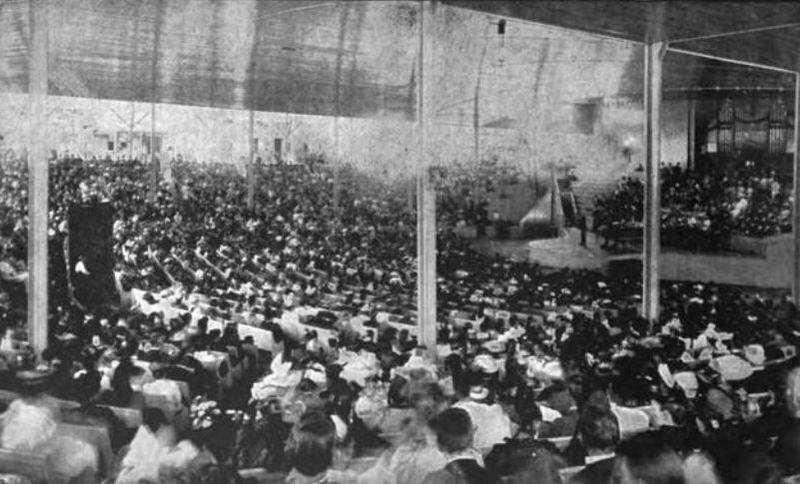 Music in the Chautauqua Movement: From 1874 to the 1930s. McFarland & Company Publishers, 2013.Wells, Jeanette. 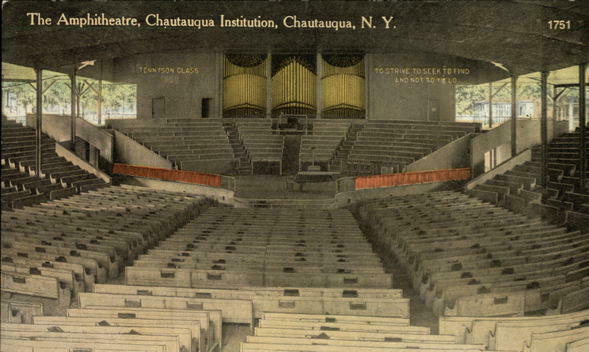 A History of the Music Festival at Chautauqua Institution from 1874-1957. The Catholic University of America, 1957.Alden, Isabella. Four Girls at Chautauqua. 1876.